South Whidbey Record, which Penn Cove beach would you recommend for clam digging? Washington State Dept. of Health image updated June 16th, 2018. 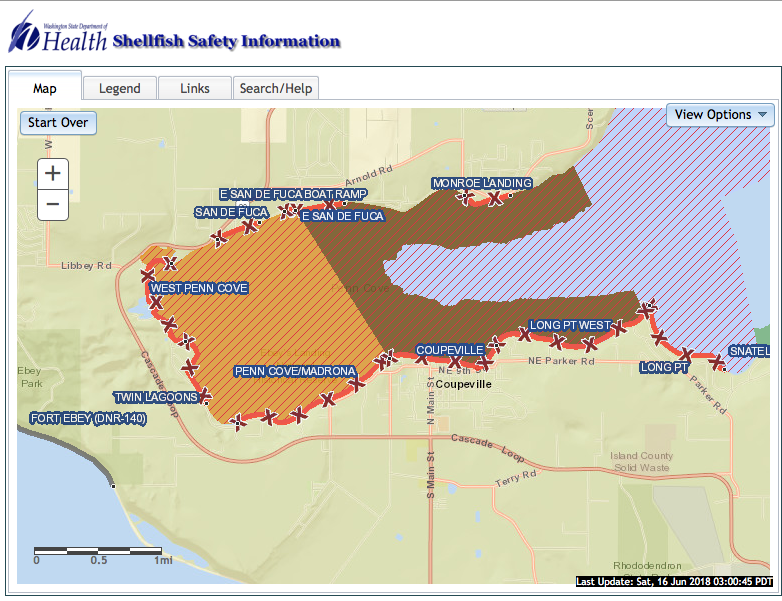 View Penn Cove water quality for clam digging using the Dept. of Health map at the bottom of this page. Sounds like the sewage treatment plant is sending unsafe product into Penn Cove? More here: Penn Cove – Treated Water Not Safe?